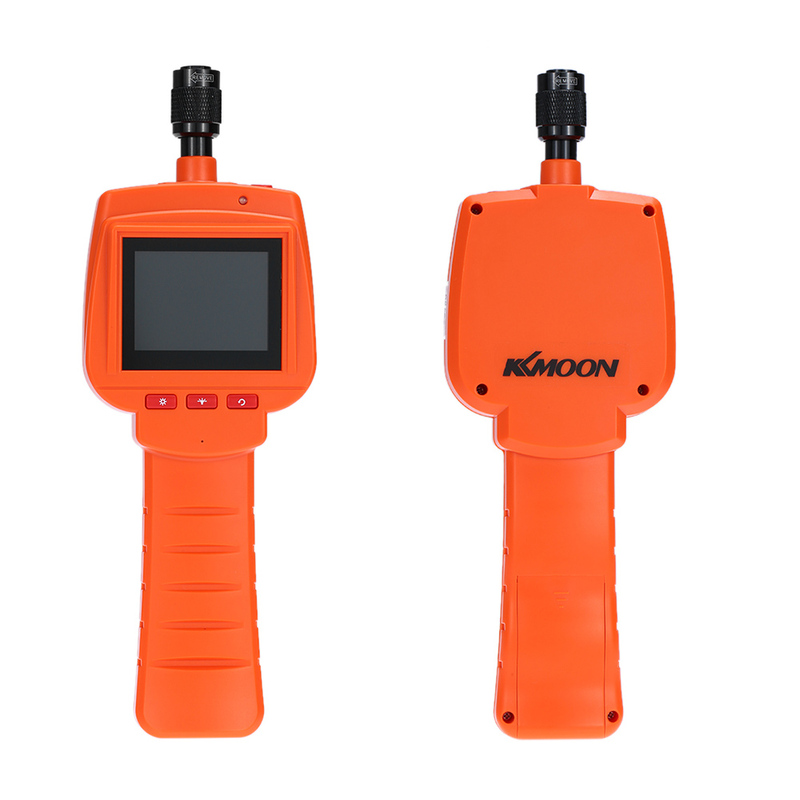 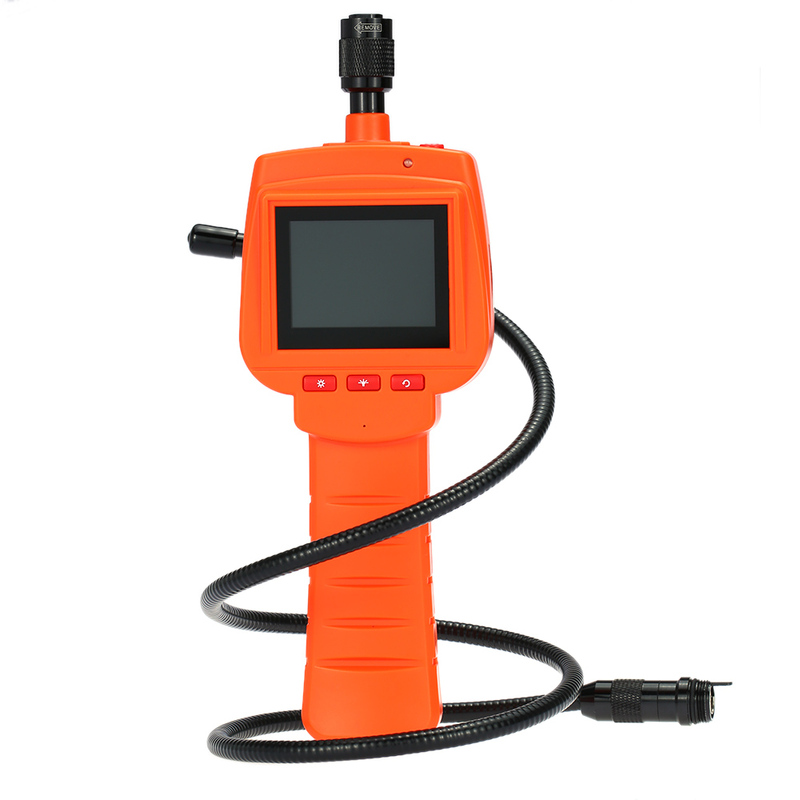 This Large 2.4" fixed screen classic inspection camera help investigate hard-to-reach area. 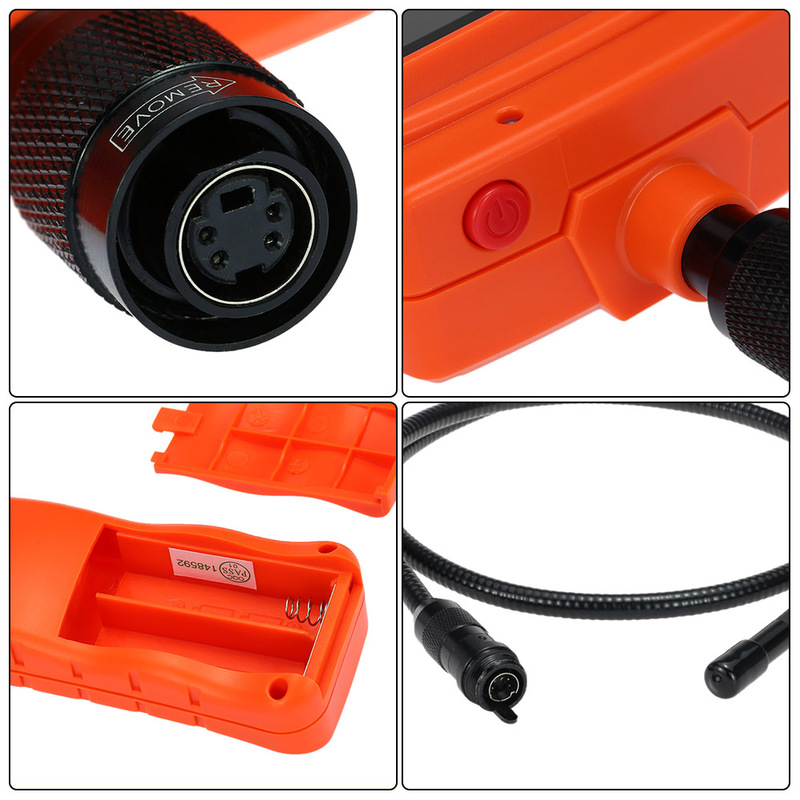 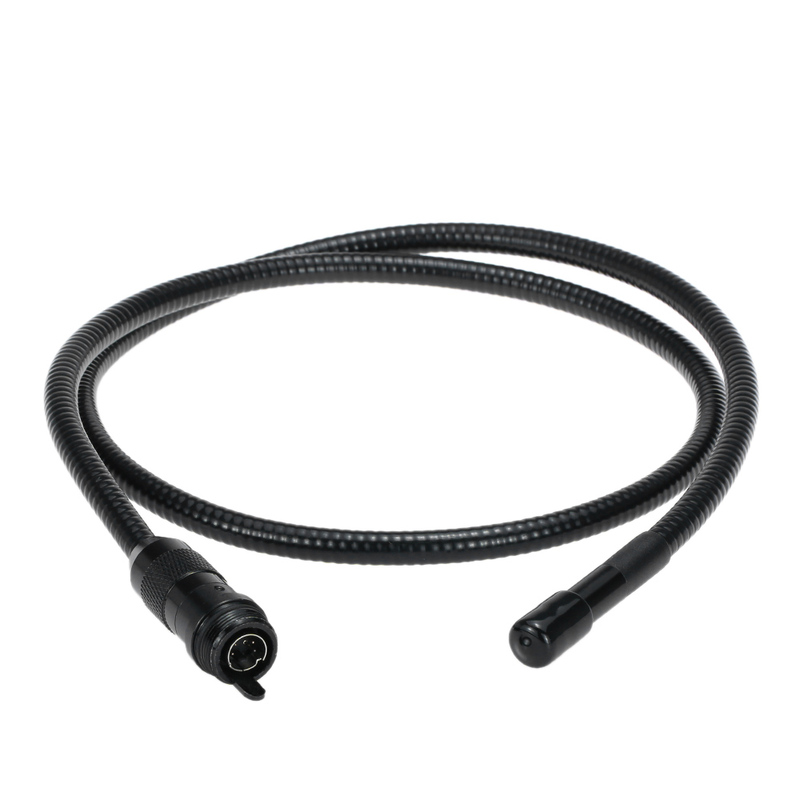 It is the industrial endoscope products with high resolution image and color fidelity, can give users show a real image. 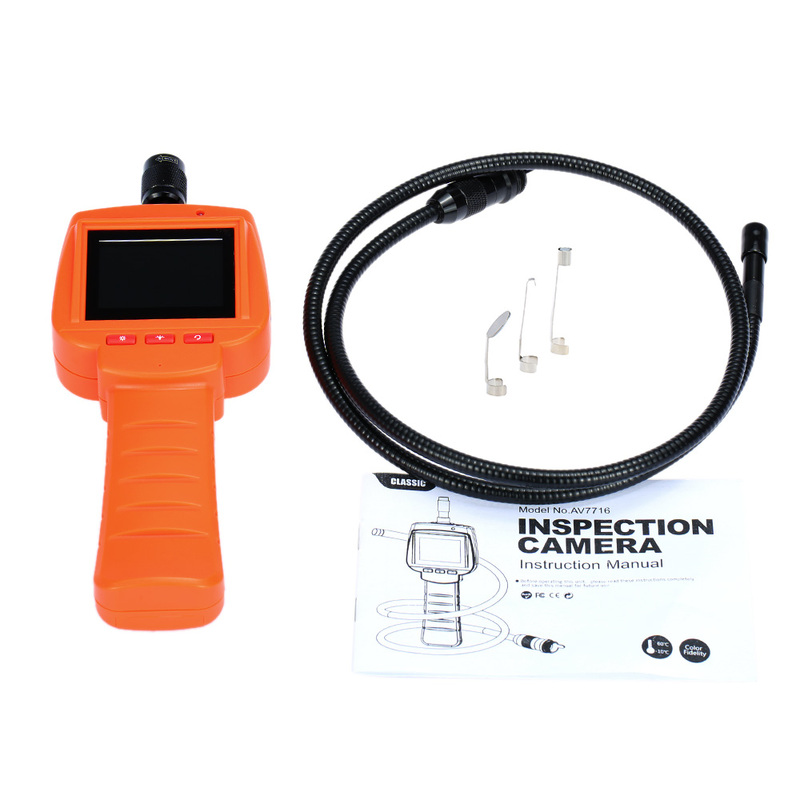 This inspection camera with diameter 9mm probe can help investigate hard-to-reach area. 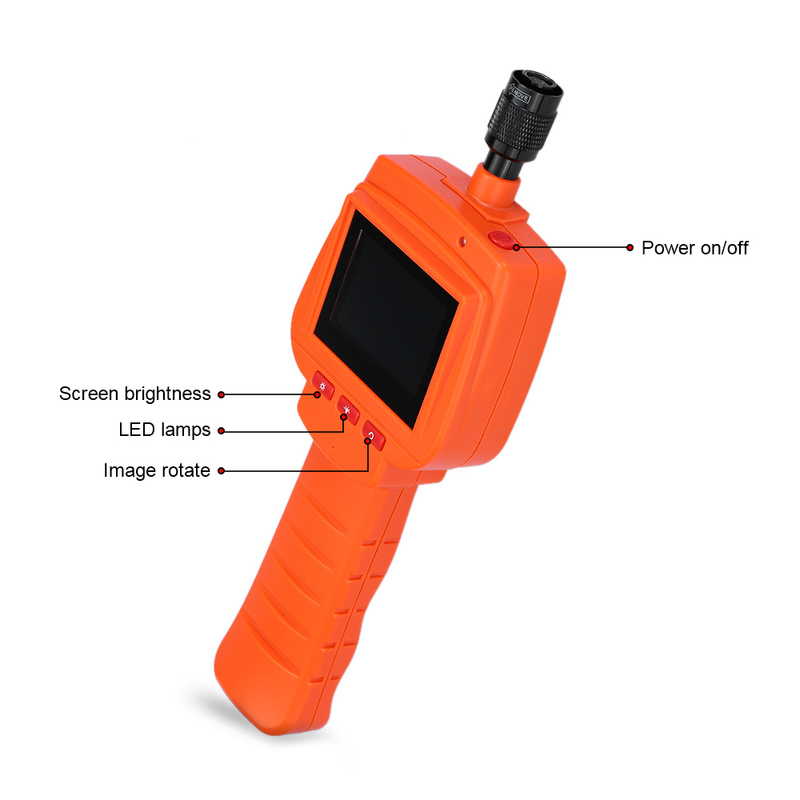 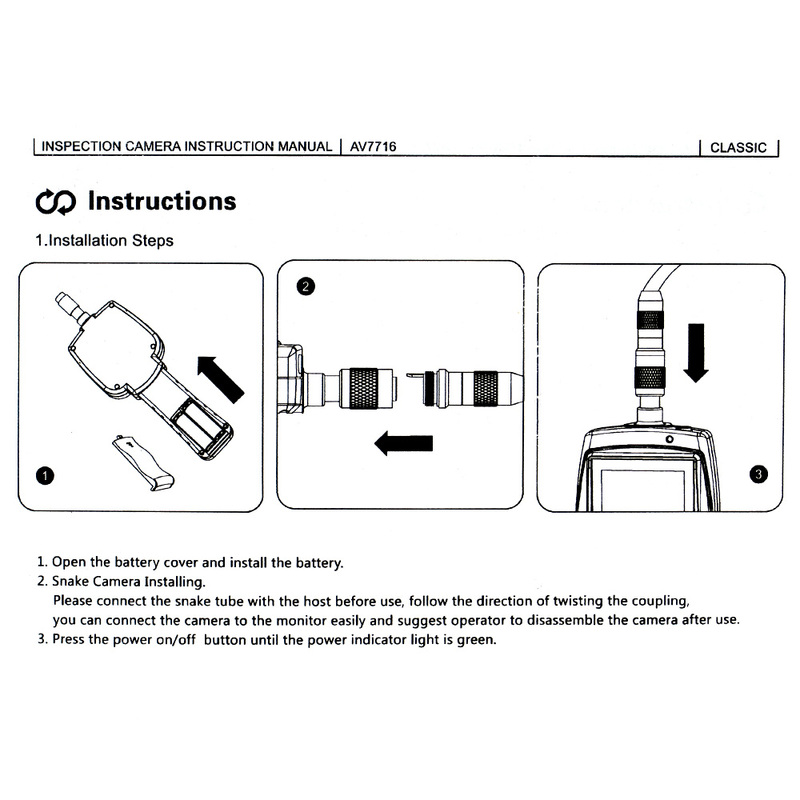 The camera head equips of 4pcs of adjustable LED (with brightness control) to illuminate the inspection area. 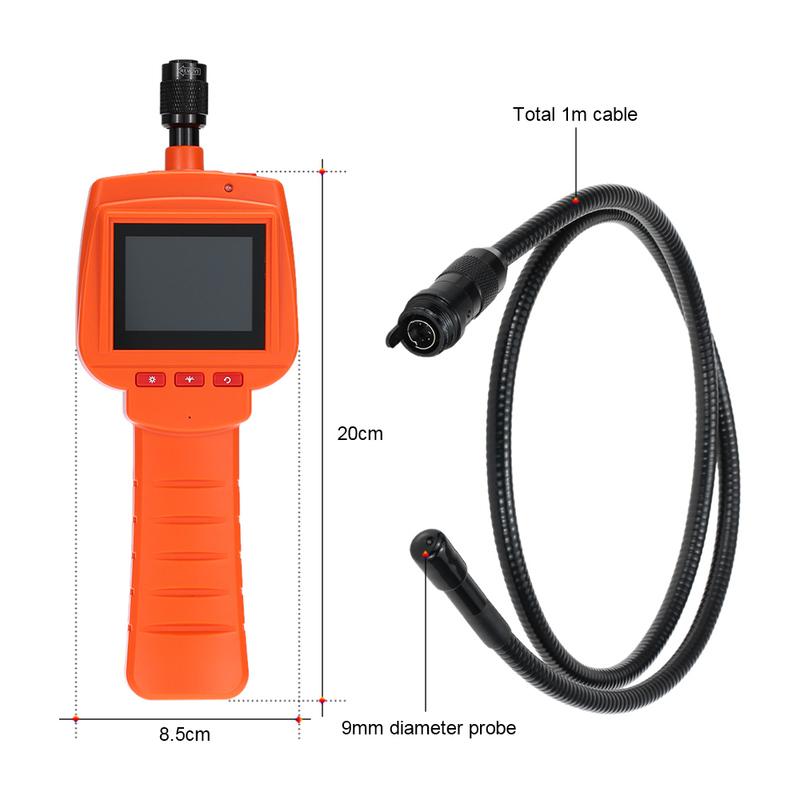 The 1m (3.3 feets) flexible semi-rigid snake tube with ultra-thin 9mm camera head is IP67 waterproof so that you can inspect area under water, gaps and holes especially with small openings. 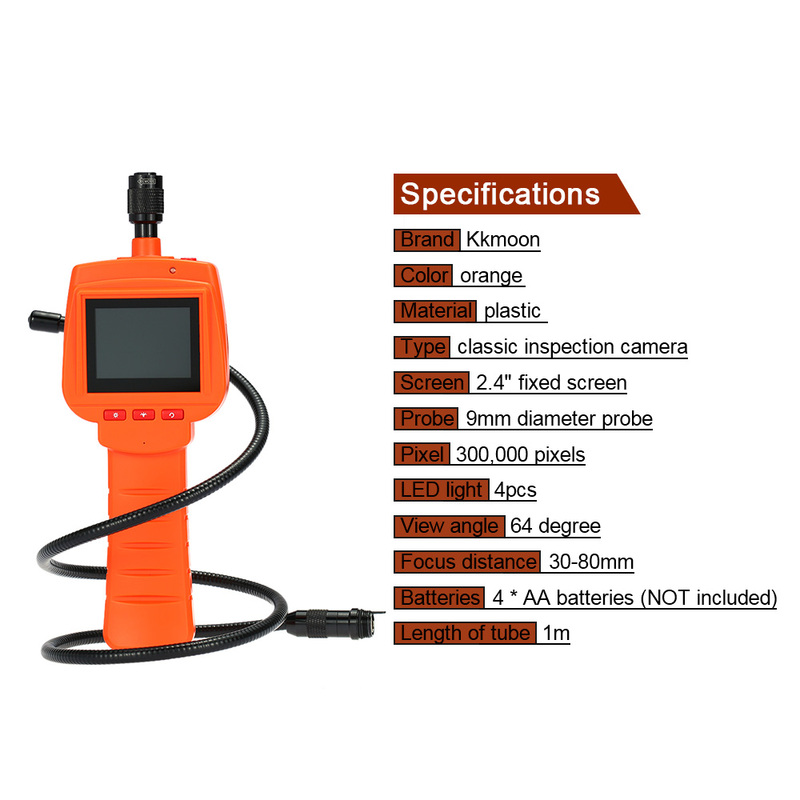 Wide application for automotive inspection, vent pipe, machine equipment, engine, cable routing, automotive / boat / aircraft inspection and so on.